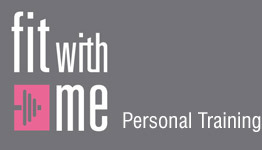 Fit Escape is proud to have Fitness Holidays with us (created by Fit With Me). On this program we work as service providers and local coordinators. Laurence Cerdan: Wonderful work from Maria Sousa as a local coordinator! Very professional, foreseeing and amicable person! Looking forward to working with Fit Escape again! Florence Lebeau: I wanted to tell you Maria, how happy I was to know you, and what a pleasure it was to share this week with you. Thanks for your help, organization during the whole week, and surf lessons, and how to anticipate the waves... This was something completely new for me. Your calm helped me a lot, and not only for that lesson. Justine Formentelli: Hola Maria! Thanks again for everything! It was such a fantastic stay! You were the best hostess.